Since 2004, Hollywood of Music and Arts has been providing both kids and adults of Los Angeles with high quality, affordable music lessons and performing arts classes to students of all ages in a professional studio environment. Over 5000 students have attended lessons and classes at Hollywood Academy of Music and Arts since our founding; this makes us one of the largest private music and arts schools in LA. We also offer scholarships and reduced fees to students in need in order to further the growth of the arts in our community, and to help students in need to learn life skills and to build self-esteem through arts education. Musical instruction on over 17 instruments and voice – available at each of our three locations: includes piano, voice, electric and acoustic guitar, violin, bass, drums, percussion, cello, viola, ukulele, banjo, saxophone, trumpet, flute, clarinet, mandolin, songwriting, pre-school music, recording technology, music theory and composition. Musical theatre and acting classes available from world class acting coaches – both group and private. Save valuable time by combining music and drama programs in order to reduce driving time and traveling to and from various lesson providers. We offer an encouraging, educated and dedicated teaching staff – featuring university trained instructors, many with a Master’s Degree and most teachers having applied performance experience in the real world. Even though our teachers are highly educated – we select instructors based on their ability to be positive, encouraging, and to motivate our students through positive feedback. Most of our teachers additionally have had extensive live performance experience: both on stage and in the studio. 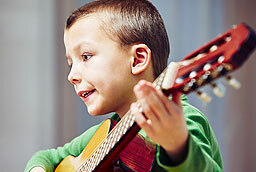 A variety of musical genres taught at the school: we have teachers that can instruct on exceptionally high levels for classical technique – as well as jazz, pop/contemporary, rock, blues, r&b and Jazz. We offer free optional recitals, twice yearly, in exceptional quality performance venues – such as the MLK Auditorium in Santa Monica, which features a Steinway grand piano. 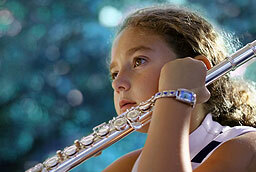 Unlike many schools our students are not charged any recital fees or admission fees. 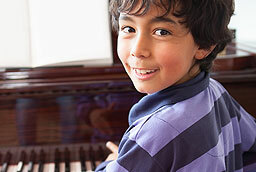 Our twice a year recitals are typically in April and October, where all students get a chance to perform. Performing Arts productions offered every three months. Free of charge. Annual “Rock Band Showcase” recital where students get the opportunity to perform in a band setting. Full time dedicated administrative staff during all teaching ours. Our front desk staff is available to assist our students at all times during regular lesson hours. Unlike some other studios where the teacher manages the schedule and collects lesson fees – our students don’t miss out on valuable lesson time because our administrative staff is available to help with the extras at all times. A proven track record of excellence since 2004. Visit our testimonials page (here) or watch our school video (here) to get a better idea of what our school is about. While many new teachers open and close a new studio in their first year, Hollywood Academy of Music and Arts has a proven track record of offering quality instruction since opening over 12 years ago; we have taught lessons to over 5000 students in our three Los Angeles area studios. Happy student/family guarantee. We want you to be happy with your lessons. If you are not completely satisfied with your experience at the school we will gladly refund your first month of lessons. Medals, certificates and rewards given out to commemorate recitals, passing tests, and to incentivize students to practice and accelerate their level of achievement. Every 6 months students will have the opportunity to advance to their next level and in turn receive a reward. Free supplemental quarterly workshops held onsite on subjects of interest such as: songwriting, music business, recording technology, drum and bass, rock band 101, ukulele, mandolin, blues guitar. Month to month lessons. All students are on a month to month basis for lessons. We do not require semester minimums or full year tuition prepayment. 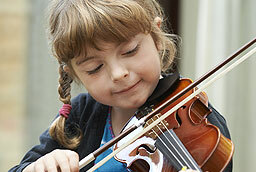 All teaching rooms offer observation windows, mirrors, high end pianos and musical equipment. Teachers and desk staff are required to have successfully passed a background check.